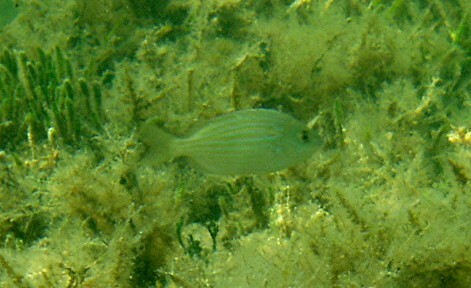 This is a Pinfish about 4 1/2 inches. Photo by Rod 20 Jan 2004 in about 4 feet water. Location was offshore Pennekamp Park ; Key Largo.